I can’t get enough of ramps. I love their zesty, green flavor. And since they come around only once a year, I’m inclined to put them in everything. Here, I’ve blended them into a creamy pesto that has infinite uses – you can pair it with pasta, toss it with veggies, slather in on sandwiches – get creative. This has a kick – if you want to mellow the flavor (or will be making out with anyone) blanche and shock the ramps before putting them in the food processor. Read here for more on ramps. 1. 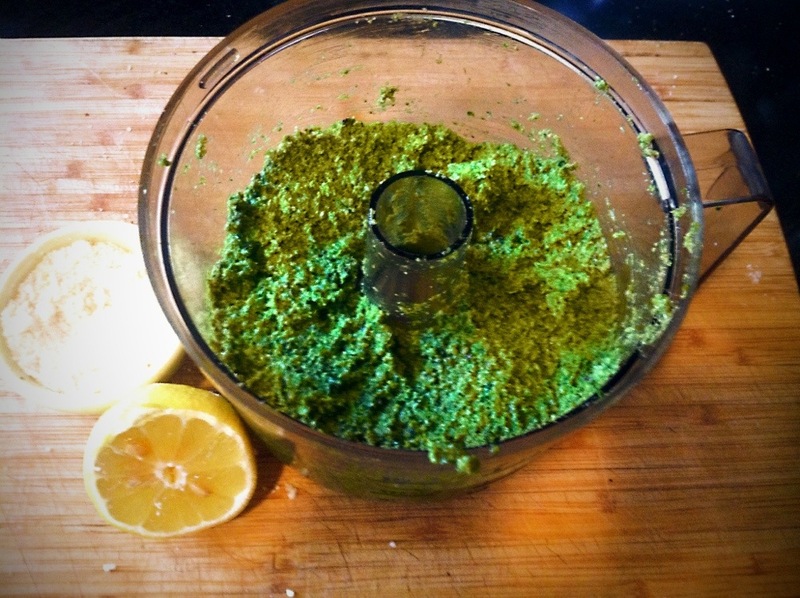 To prepare the pesto, place the ramps in a food processor fitted with the blade attachment. Pulse with the walnuts, cheese and olive oil until smooth – add more olive oil as needed til you reach desired consistency. 2. Pulse pesto with lemon juice then season to taste with salt and pepper. Serve on pretty much anything.